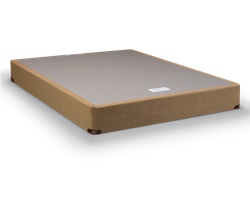 TEMPUR-Choice Supreme is the firmer of the two current models in the TEMPUR-Choice models in the Special Solutions Collection by Tempur-Pedic. As noted in the TEMPUR-Choice Collection review, TEMPUR-Choice is a departure by Tempurpedic from foam support cores, making these air bed/memory foam mattress hybrids. Memory foam is still the key to comfort in TEMPUR-Choice Supreme. This category of cushioning material was introduced to the consumer market as TEMPUR-Foam, adapted by Tempur Sweden for commercial use from visco-elastic foam developed by NASA for astronauts' launch couches. Though memory foam in many variations is used by almost all mattress manufacturers (there are a few exceptions), this model is part of Tempur-Pedic's claim to have the best memory foam mattress. Your member reviews on this page will let our readers know if this is so. In the TEMPUR-Choice Collection, this is Tempurpedic's TEMPUR-ES. The "ES" stands for "Extra Soft." Tempurpedic calls it "Super-deep, extra-soft-TEMPUR-ES material." They claim it has a "pillow-soft embrace," and is "lightly" conforming. In addition to general memory foam benefits, such as relieving pressure points and eliminating motion transfer, TEMPUR-ES material is structured for air flow and breathability to counter the tendency of memory foam to build up heat. They also claim a longer usability lifetime. The TEMPUR-ES comfort layer is an inch thinner than that in the TEMPUR-Choice Luxe, making the TEMPUR-Choice Supreme 13" high. Support in the TEMPUR-Choice Supreme is provided by the TEMPUR-Choice® Multi-Zone support layer. This is zoned air support, multiple chambers which can be configured by the user to tailor the shape as well as the level of support. The comfort levels for the Choice Supreme range from medium-soft to firm. 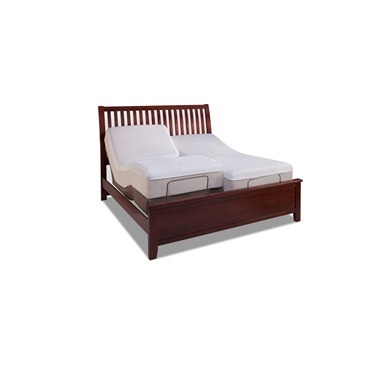 For sizes full and up, each side of the bed is separately adjustable for sleepers of differing comfort needs. The removable white cover of stretch-knit linen-based fabric is washable. It is treated to be anti-microbial and dust-resistant. The TEMPUR-Foundation is a solid-surface Medium Density Fiberboard (MDF) platform upholstered to match the mattress. It is available in either of two heights: 9" Standard or 5" Low Profile. 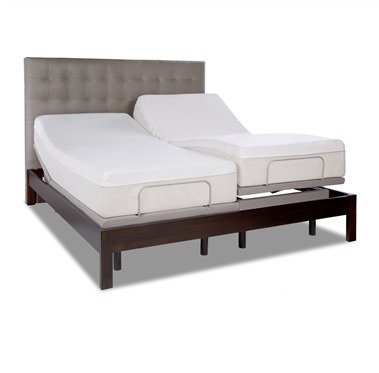 TEMPUR-Up is an adjustable bed considered an upgrade from a flat foundation. Only the head can be elevated. 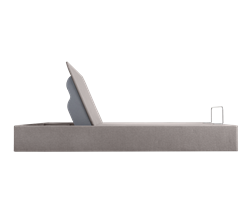 The TEMPUR-Ergo Plus and TEMPUR-Ergo Premier adjustable bases have an essentially continuous range of positions, head and foot controlled by a wireless remote. The head can be raised to 70o for sitting upright. TEMPUR-Ergo Premier features a massage. The TEMPUR-Choice Supreme carries Tempurpedic's 10-year non-prorated warranty. It is available through several retailers, in stores and online. Among others, these include Sears, Macy's, and US Mattress.